CarloGavazzi Gujarat, Ahmedabad distributor in India and also fotek India, meanwell India. Our major customers are presented in all over India. Gujarat in India. We are covering the following products like carlogavazzi sensor, carlogavazzi ssr, carlogavazzi smps, carlo gavazzi relays, carlogavazzi proximity, carlogavazzi inductive sensors, carlogavazzi capacitive sensors, carlogavazzi light curtain, carlogavazzi meters etc. 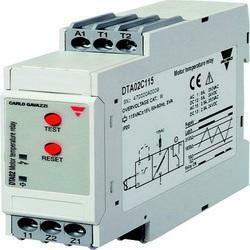 Carlo gavazzi covering cities Baroda other than Ahmadabad like Chennai, Madurai, Coimbatore, Pondicherry, Bangalore, Hubli, Hyderabad, Vizag, Mumbai, Biwadi, Delhi, Pune, Noida, Haryana, Faridabad, Ghaziabad, Gujarat, Baddi, Indore, Surat, Ahmedabad, Vadodara, Vapi, Maharashtra, Kolkata, Westbengal, Udaipur, Jaipur, Punjab, Silvassa, Ludhiana, Kashmir, Goa, Jharkhand, Odisha etc. We are the distributors for carlogavazzi, fotek, meanwell. The Switching power supplies SPD series are specially designed to be used in all automation application where the installation is on a DIN rail and compact dimensions and performance are a must. As an esteemed name in the relevant industry, we are offering a precision-engineered array of Carlo Gavazzi Monitoring Relays. Following industry defined guidelines, our vendor’s manufacture the entire range by utilizing contemporary machines, modernize technology and prime grade raw material. In order to ensure quality, the entire range is rigorously tested upon a series of parameters. In tune with clients' diverse requirements, we offer the entire range in a wide range of specifications.